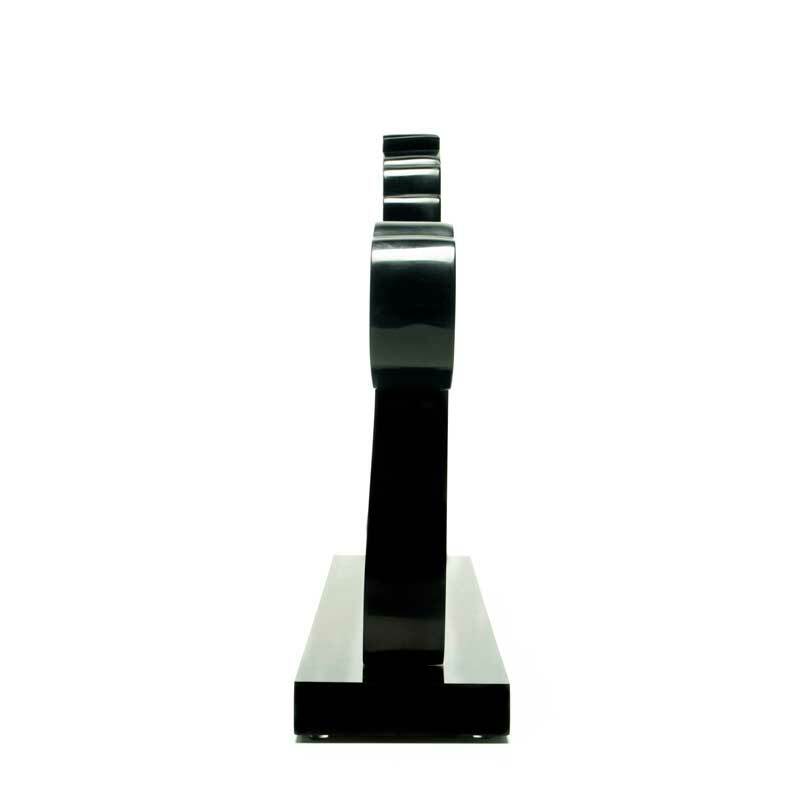 For a number of years I had thought about how I might be able to create a two-dimensional sculpture based upon one of my sold works on canvas. 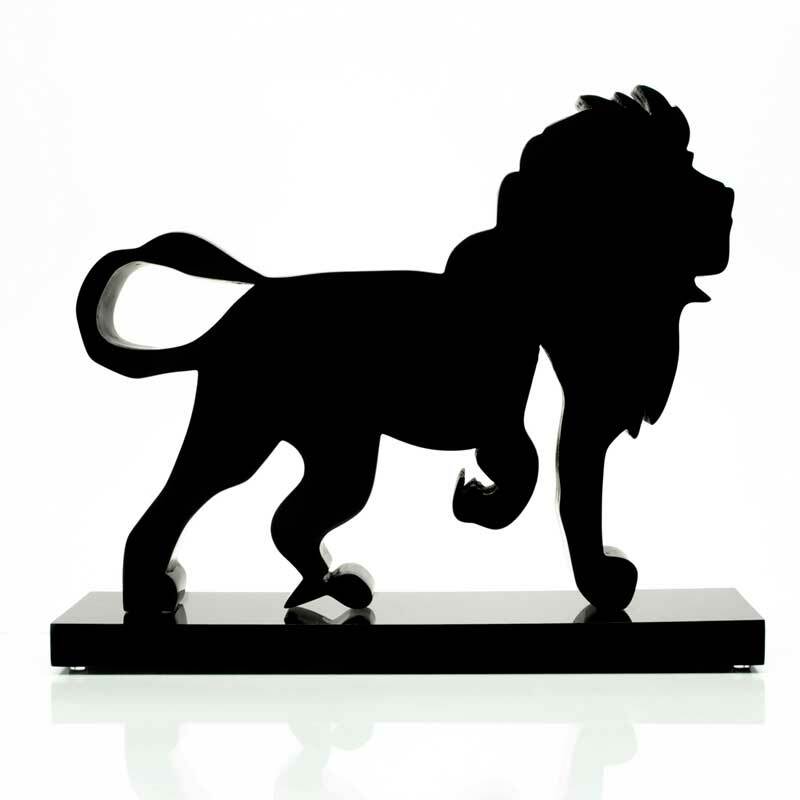 In 2010 I completed the painting ‘Lion’..
…and this image in particular seemed to lend itself to a sculpture of this kind. It was around this time that a sculptor named Chris happened to wander into New York Vintners purely by chance: he had been unsure whether NYV was a wine shop or an art gallery so his curiosity got the better of him and in he came. Chris and I got to talking about my needs for an art fabricator and he suggested I meet with a highly respected and skilled fabricator named Karen Atta. 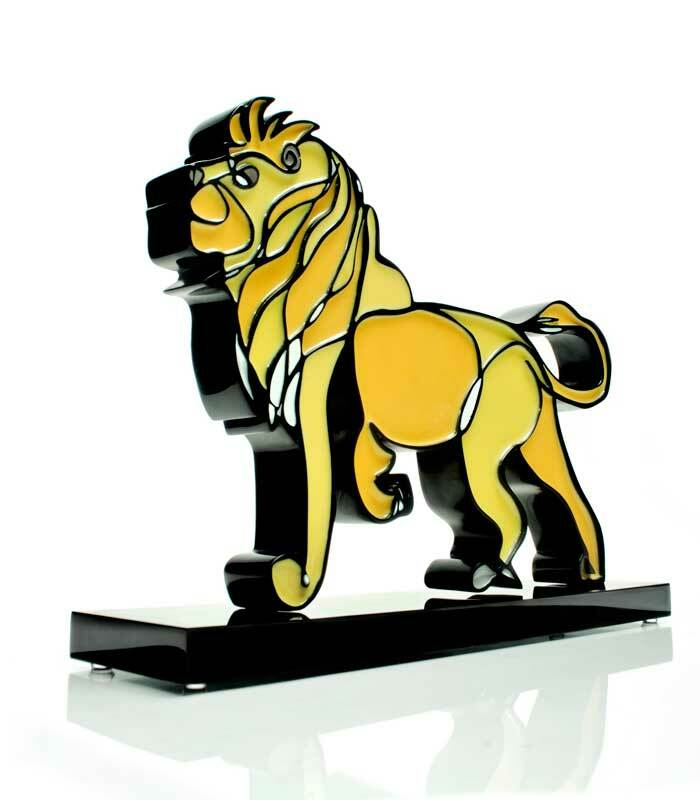 I went and met with Karen at her studio in Chelsea whereATTAINC has been in operation since 1986 and together we began work on my first resin cast sculpture, ‘Lion’.‘Lion’ stands at 13″ tall, 16″ long and 4″ wide at the base. 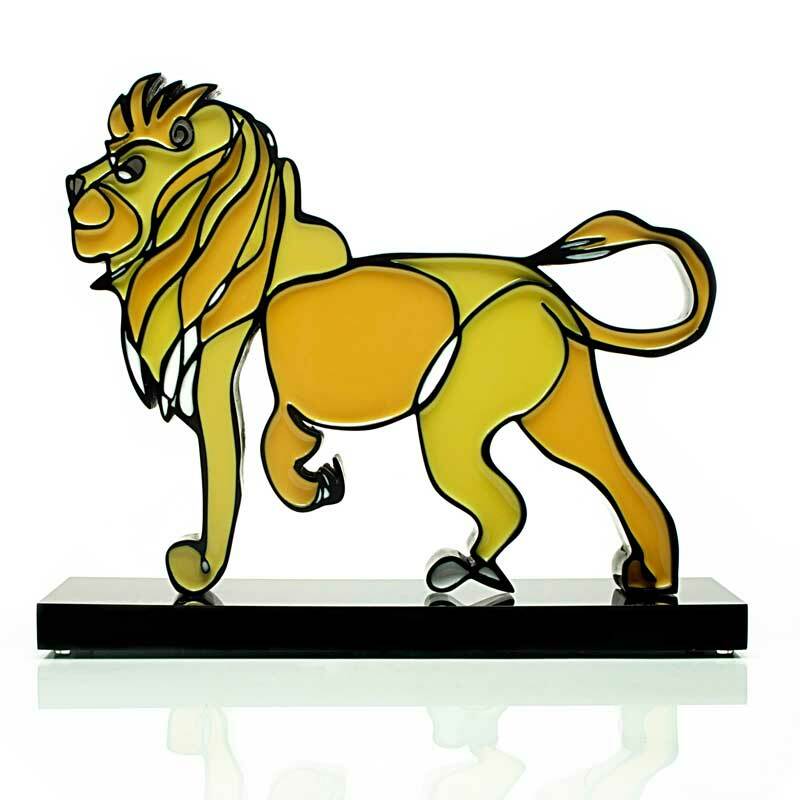 It is cast in resin and weighs approximately 7 lbs. 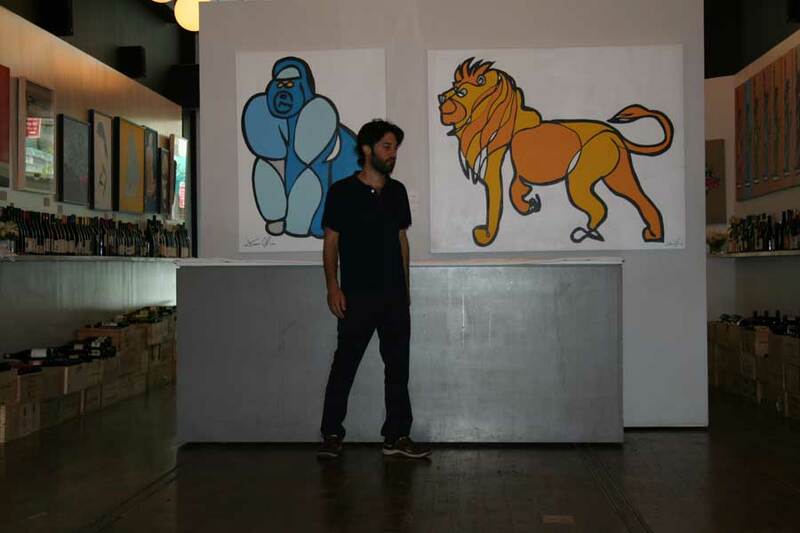 So as to remain true to the original painting, ‘Lion’ uses the same line work and the resin was colored to match, in order to capture the character and vibrancy of the work on canvas. 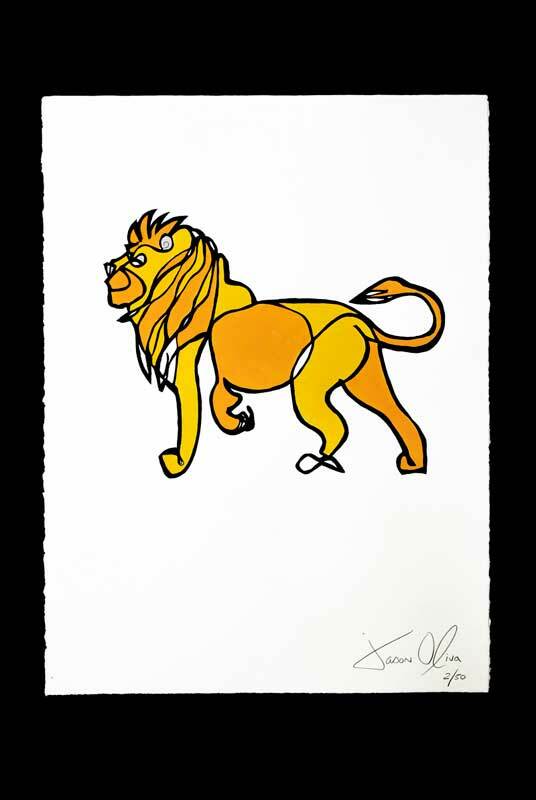 ‘Lion’ is on permanent display at my studio in New York Vintners, Tribeca and is available for purchase as a limited edition.For all inquiries, please contact Jason Oliva. Available for $475 (+$125 for frame) via the artist.